This Saturday, September 13th from 1-4 pm, Bethel AME Church will host a luncheon and book signing event on the site of their proposed new church at the corner of Lincoln and Grant Street in Pottstown. Each year the church gives $500 scholarships to the high school graduates in the congregation who are pursuing higher education. They hold an annual fundraiser, among other fundraising activities throughout the year, in which they promote a book. This year they selected Legendary Locals of Pottstown, and I am so appreciative of their support and the big community gathering they have planned. Admission to the luncheon is $10. Books will be available for purchase. Several legendary locals will be on hand such as Donna Hennessey, George Wausnock, Dan Brunish, and more! Co-author and photographer Ed Berger and I will be there, too! Hope to see you there. SCORE is a nationwide nonprofit association dedicated to educating entrepreneurs and helping small businesses start, grow, and succeed. SCORE provides free and confidential counseling to entrepreneurs on policies, procedures, and problems in the realm of small business. The great news? Pottstown has its own SCORE office of seasoned, successful business leaders who volunteer their time to help others succeed, too. People starting out in business frequently have the same questions: Who is my largest competitor? How can I drive customers to my website? What is the difference between an LLC and a Sole Proprietorship? In an effort to provide entrepreneurs with cutting-edge information, Pottstown SCORE is offering three separate In-Depth workshops for the fall. The first workshop, “Using Reference USA” is presented in collaboration with the Pottstown Regional Public Library. The workshop, which will be held at 7 pm on September 17 at the library on 500 East High Street, will instruct participants how to use a database to research information pertaining to customers and competitors. A second workshop, “Social and Mobile Equation” will give participants up-to-date secrets of successful marketing using social media and mobile technology. This workshop will be presented at 7 pm on October 8 at the SCORE office on the basement level of the New York Plaza building in Pottstown. In the third workshop, “Sole Proprietor, Partnership, Corporation,” participants will learn to avoid legal pitfalls in starting a business. A lawyer and a CPA will be available to answer questions about the legal and tax considerations for different business structures. This workshop will be presented at 7 pm on October 30 at the SCORE office in the New York Plaza building, 244 High Street, Pottstown. There is a nominal fee for each workshop, and a discount of 50% is offered for a second person registering at the same time. Class size is limited, but there are still openings available. Applicants may sign up online at www.pottstownscore.org or phone the SCORE office at 610-327-2673 for more information. Brought to you by Artfusion 19464! ArtFusion 19464 will host their fourth annual summer beef and beer fundraiser on Saturday, August 9 from 6-9pm. This year’s event will be held at the ArtFusion studios and gallery at 254 E. High St.
Tickets are $20 purchased in advance. If any are still available, tickets at the door will be $25. Tickets can be bought online athttp://artfusion19464.org/event/2014-beef-and-beer/, in person at ArtFusion, or over the phone by calling 610-326-2506. Guests can choose the beef entrée, or a vegetarian sandwich option. Known for offering wages significantly higher than the industry standard, ALDI, the nation’s low-price grocery leader*, will host a hiring event for its stores in Berks and Montgomery counties on Friday, Aug. 1. Opportunities within ALDI include Store Associate and Shift Manager positions. The hiring event is in support of the ongoing growth of ALDI in the area, offering customers the ALDI brand promise of high-quality grocery items at unbeatable prices. When: Friday, Aug. 1, 8 a.m. to 12 p.m.
A leader in the grocery retailing industry, ALDI operates nearly 1,300 stores in 32 states, primarily from Kansas to the East Coast. More than 25 million customers each month save up to 50 percent** on their grocery bills, benefiting from the ALDI simple and streamlined approach to retailing. ALDI sells more than 1,300 of the most commonly purchased grocery items, primarily under its exclusive brands, which must meet or exceed the national name brands on taste and quality. ALDI is so confident in the quality of its products, the company offers a Double Guarantee: If for any reason a customer is not 100 percent satisfied with any ALDI food product, ALDI will gladly replace the product and refund the purchase price. For more information about ALDI, visit www.aldi.us. *According to a survey of more than 6,500 consumers conducted in May 2013 by Market Force Information. **Based upon a price comparison of comparable products sold at leading national retail grocery stores. 8th Annual “Pottstown Celebrates Young Children” event TOMORROW! The eighth annual Pottstown Celebrates Young Children event will be held on April 12, 2014 from 1:00-3:00 at the Pottstown YMCA (724 Adams Street – across from Pottstown High School). The event targets families with young children and is sponsored by PEAK, Pottstown’s school readiness initiative. The afternoon will include a petting farm, moon bounce, mascots and clowns. More than 40 community organizations will provide family activities and everything is free. This year PEAK is partnering with Pottstown Memorial Medical Center as the main sponsor for the Month of the Young Child events. According to PEAK Coordinator, Mary Rieck, “We are very thankful for the partnership with Pottstown Memorial Medical Center. Pottstown Celebrates Young Children is great way to raise awareness for early education and services of the hospital, as well as an enjoyable afternoon for the whole family. We look forward to finding new ways to work with the hospital to help Pottstown’s children enter kindergarten ready to learn and achieve.” The Month of the Young Child is also supported by the Pottstown Rotary Club Community Endowment Fund which is providing funds to support the purchase and distribution of 400 copies of the featured book for the Pennsylvania One Book campaign. PEAK has received donations to support the event from Wegman’s and Costco. PEAK (Pottstown Early Action for Kindergarten Readiness) is a partnership between Pottstown School District and community early learning programs and agencies seeking to prepare children and families for success in kindergarten. To learn more about PEAK or the April 12 event, visit http://www.peakonline.org, e-mail Ms. Rieck at mrieck@pottstownsd.org or call 610-970-6655. You can also follow PEAK on Twitter @PEAKPartners and on Facebook. SCORE is a nonprofit organization of more than 10,500 volunteer business counselors who provide free, confidential business counseling and training workshops to small business owners. Call 610-327-2673 for the Pottstown SCORE chapter, or find a counselor online at http://www.pottstownscore.org. Very few people begin the process of building a small business with a full knowledge of all the skills required for success. Even those who extensive experience or education in business management still need to bring themselves up to speed on the added responsibilities of entrepreneurship—tax issues, employee management, business development, accounting, etc. counseling and other types of technical help. For details on the Small Business Training Network, go to http://www.sba.gov and click “Training” under the site’s Services section. The Tools section of http://www.sba.gov gives you access to an extensive library of articles, podcasts, and Web chats on various small business issues. Local SBA-sponsored training events are offered nationwide. These range from breakfast talks on local economic conditions, to brown-bag networking lunches, loan seminars, startup workshops and free business assessments. Simply go the Local Resources section of http://www.sba.gov and click your state on the Web site map for a calendar listing dates and event details in your area. You can also sign up for free newsletters issued by your state SBA office. To learn more about training opportunities your small business, contact SCORE “Counselors to America’s Small Business.” SCORE is a nonprofit organization of more than 10,500 volunteer business counselors who provide free, confidential business counseling and training workshops to small business owners. 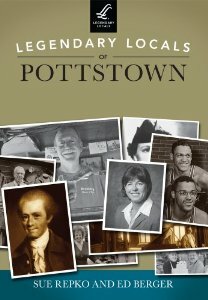 Call 610-327-2673 for the Pottstown SCORE chapter, or find a counselor online at http://www.pottstownscore.org.